Tufel Media Digital Marketing was started in April of 2012 in response to a need for local companies to reach their customers through the rapidly evolving world of online marketing. One of our first clients had placed an expensive ad in the local paper practically giving away an expensive bottle of liquor. He told us, "Had anyone seen the ad, there would be a line out the door," as had happened in previous years. Placing an ad in the paper wasn't enough anymore. 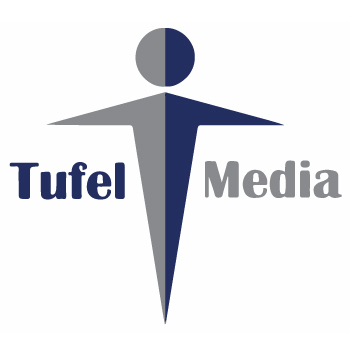 Tufel Media Digital Marketing began helping business owners establish an online presence through the use of social media. Now, this generation is using social media to connect with one another more than any other platform. Our clients are prepared to build brand loyalty by ensuring that their content and their message is consistently in front of their customers with the help of Tufel Media Digital Marketing. With the increase use of smart phones and tablets many companies have realized that their websites are not compatible. In addition to social media management, Tufel Media Digital Marketing began offering a solution to out-dated websites. Our clients receive brand new sites that are Responsive which means they work on any device. Not only are our clients’ sites responsive, but they also work hand in hand with their social media. To help showcase your brand with a fabulous new website! Whether you have an outdated website that needs to be re-designed or you need a brand new site, we offer cost-effective web design that is Responsive and works on smartphones, tablets and desktop computers. To help you expand your brand reach farther than you ever thought possible! Tufel Media offers a complete digital marketing package combining your ad dollars with a social media campaign that will deliver your brand message to specifically targeted audiences according market demographics. To help your brand build relationships with new and existing customers! We can manage your social networks, strengthen relationships with new and existing customers, and build community around your brand, by managing the platform that is most used by this generation - social media! To help you take your brand to the next level! We know how this generation communicates. Constantly broadcasting,“This is my product! Try my product! Buy my product! ” doesn’t work anymore. It’s time to communicate in a way that is important to your new customers. Are you a busy professional who recognizes the importance of social media, but simply doesn’t have the time? Are you looking for a better ROI (Return On Investment) from your pay-per-click ads? Are you getting the most from mobile advertising? Is your current website responsive? Does your contact page work with smartphones and tablets? Does your website work in conjunction with your social media? Does your logo convey the right message for your brand? Does it portray confidence in the goals of your company? Do you like easy to follow tips on everything social media? Do you want to learn how to avoid the biggest mistakes? We can help you expand your brand’s total online reach. Tufel Media is your full service digital marketing team.